Soup is one of my favorite meals to make during the winter months. 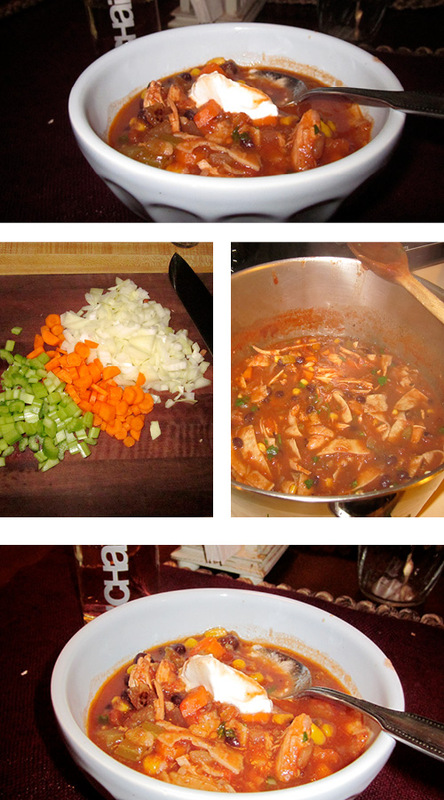 On a chilly day I enjoy making this chicken tortilla soup. I added corn and black beans to give it an extra kick. The recipe is very easy, and perfect for a timid cook. So, go grad yourself and can of black beans and whip this up for tonight's dinner. Happy Fat Tuesday everyone!